Simple, compact, and incredibly durable. I’ve been making this wallet for a long time and have seen many of them after years of use and abuse. They just get better with time. 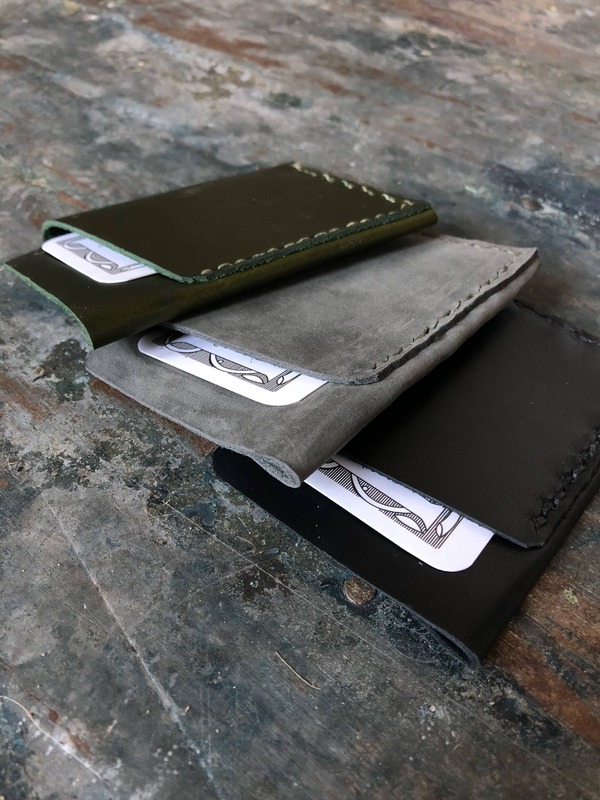 The leather starts to polish at the corners and form around the shape of the things you carry and the hand-stitching in a four-play waxed linen thread is made to hold up to anything you can throw at it. 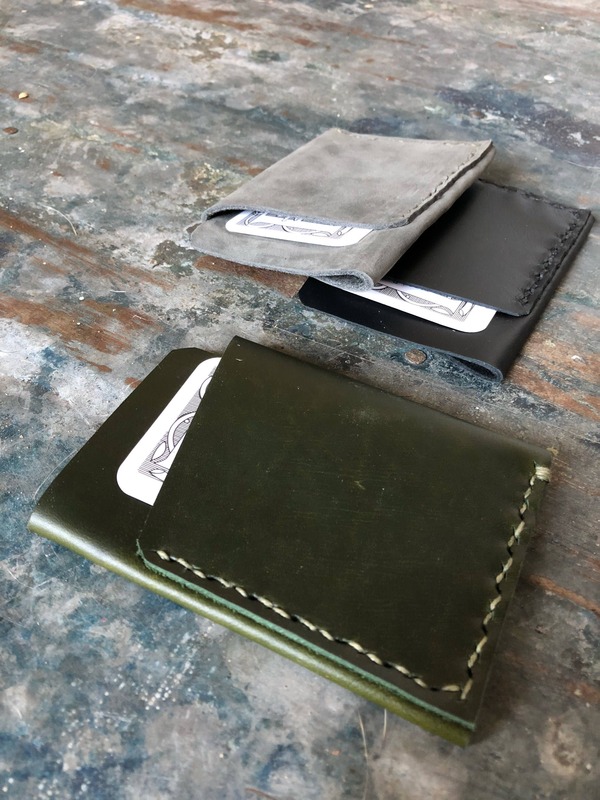 These are constructed from a single piece of leather for maximum strength and clean lines and each piece is made by hand in our Brooklyn studio. 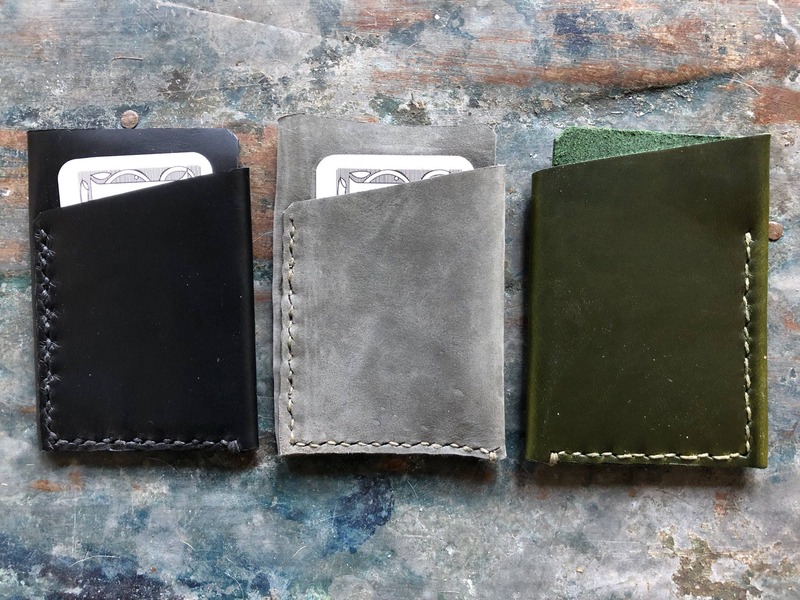 It’s a small wallet measuring just 3”x4.25” so it’s perfect for your front pocket or inside a bag. 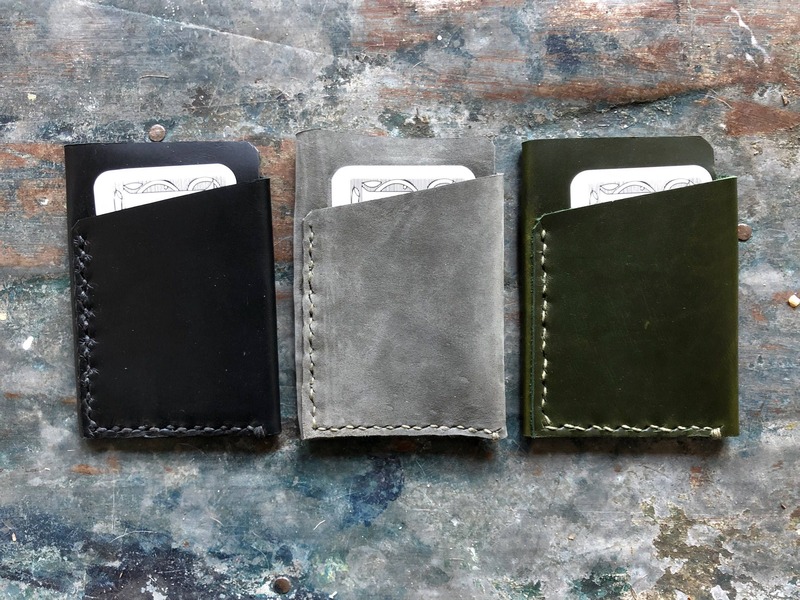 Right now I’m making this in green and black vegetable tanned leather as well as a special rough suede Horween leather for a limited time.